A wide variety of solutions are required based on the issues that customers are trying to resolve, according to business region, business strategy and direction. 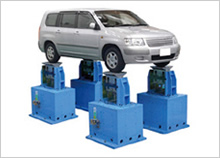 Ryoden provides a wide range of solution services both domestically and internationally. We are providing best solutions that utilize the strengths of Ryoden in the network solutions field, building management solutions field, EMS solutions field, smart industrial application field, medical solution field, HMI/sensor solution field and automobile equipment solutions field. Using state-of-the-art technology, we are continuing to evolve our network technology with the emergence of the age of big data in order to respond to advancements in each of the solutions fields. With the dawning of the age of big data, network technology is continuing to progress. Ryoden constructs optimized solutions by grasping the needs of the market at an early stage and making full use of technical trends. Our EMS solutions, which are attracting more and more attention as the importance of energy saving and energy management increases, enable one-stop management of the energy usage situation on the production line and in offices etc. 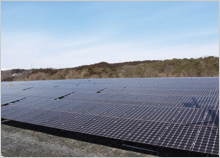 Ryoden, using its track record and know-how as a trading company promoting the global environment, is providing optimized solutions in a wide range of fields. 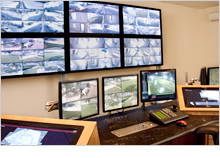 We have enabled remote monitoring, such as of building facilities on a nationwide scale. 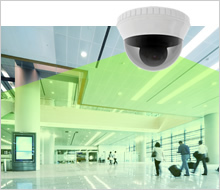 We have made it possible to remotely inspect, monitor, control, measure and provide security for building facilities on a nationwide scale on a 24 hour 365 day basis. In industrial markets, great emphasis is being placed on the transparency and efficiency of the production process, as well as its safety and smoothness. Ryoden, using the track record it has accumulated until now, is providing solutions that respond accurately to a diverse range of customer needs. We are in an age in which the Human-Machine Interface (HMI) affects the value of a variety of products, and fields involving HMI are spreading infinitely. 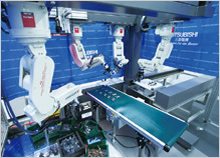 At Mitsubishi E|lectric, we are providing solutions that can handle a variety of environments and applications, in relation to fields such as office automation, automobiles and machine tool set manufacturers. We are supporting disaster measures at the medical field disaster site, in order to keep damage caused by earthquakes and disasters, power cuts and temporary power cuts to a minimum. We utilize our experience and technology in the component and system business in order to provide people savings and energy savings and a management system that realizes optimization of equipment.